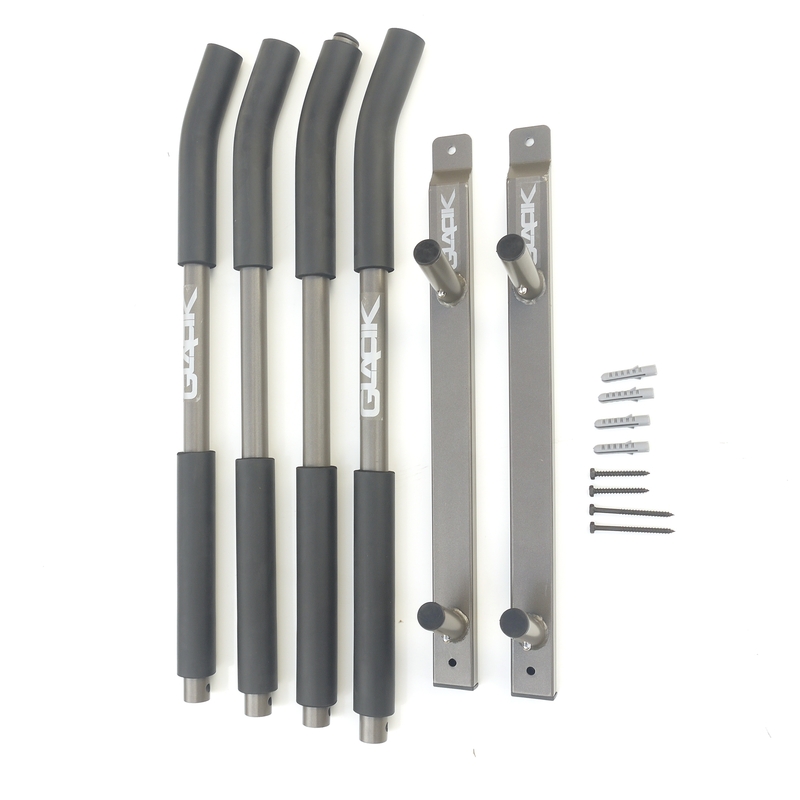 The Glacik G-62L is a 2 Tier Wall Rack for SUP Storage has a 120-pound weight limit and is a convenient storage solution for any type of SUP. 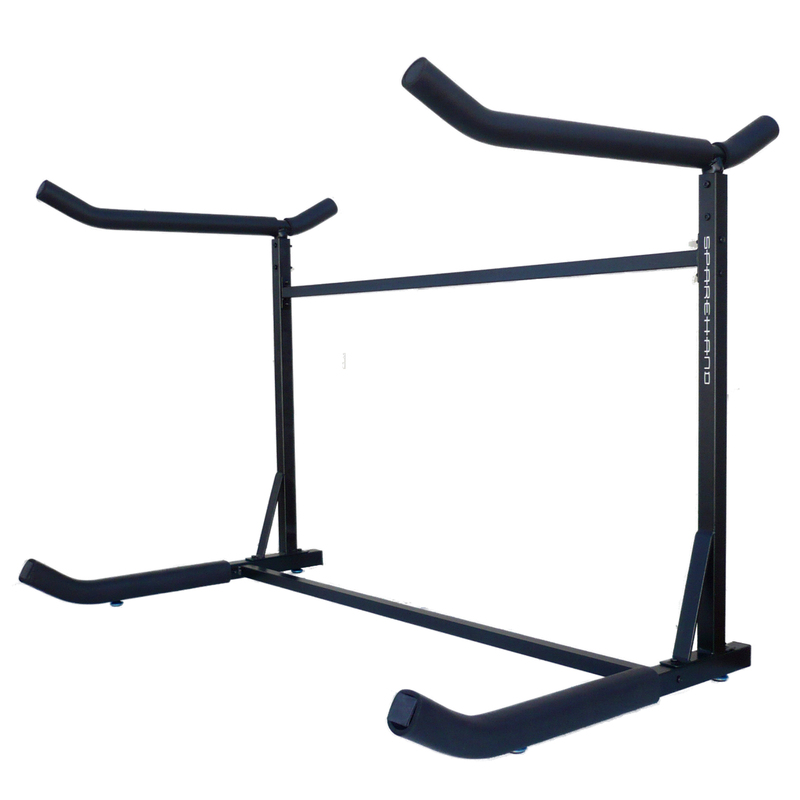 The Wall Rack is designed to store up to 2 boards, and all arms are well padded and coated to be used both indoor and outdoor. 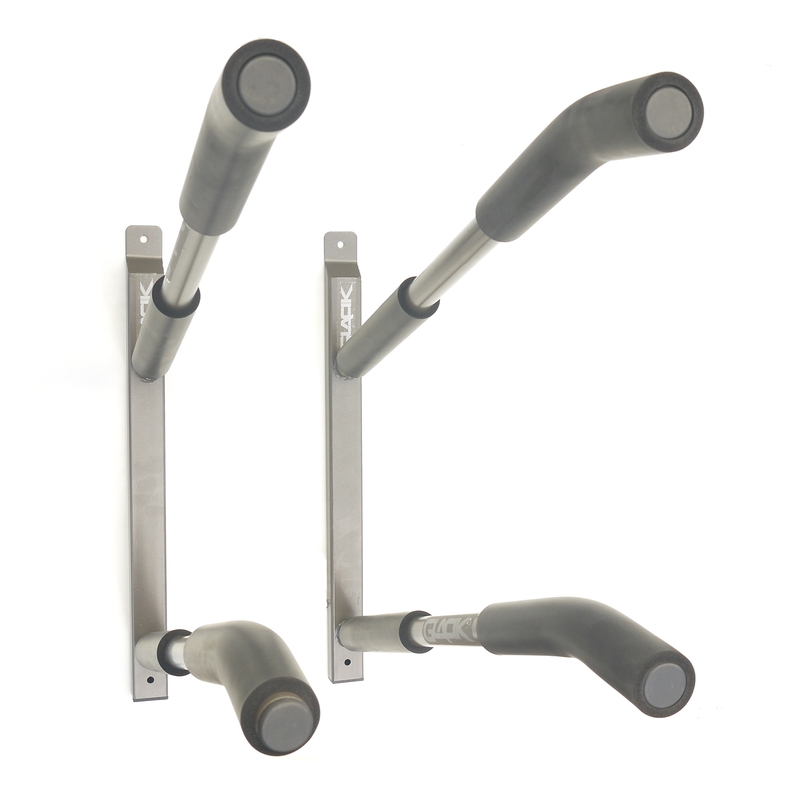 All arms on the rack are easily removable, eliminating any worry or concern about safety. 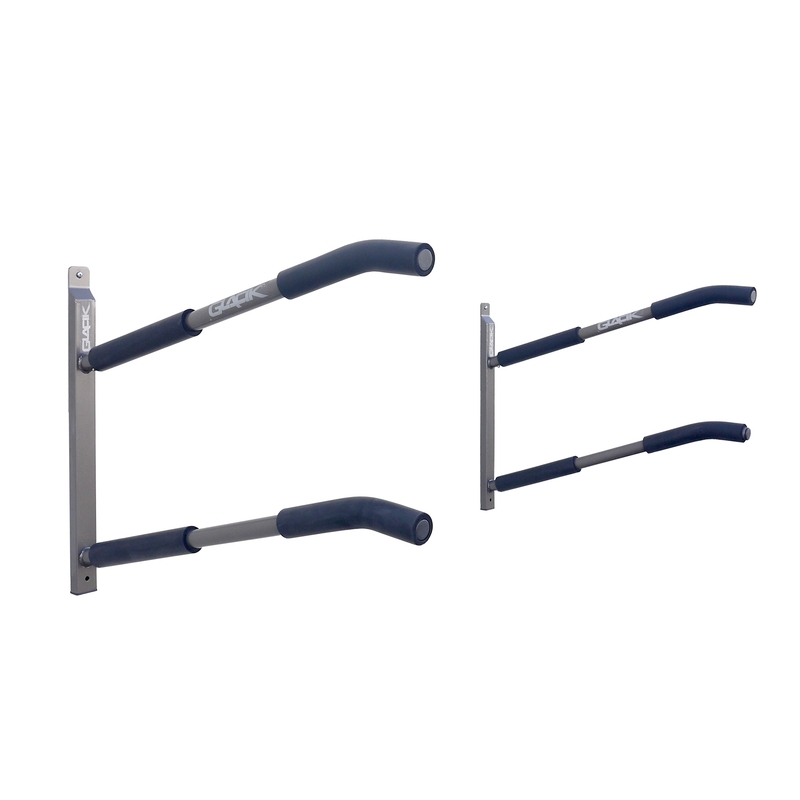 In addition, the arms are designed at a slight incline for easy and safe board removal. 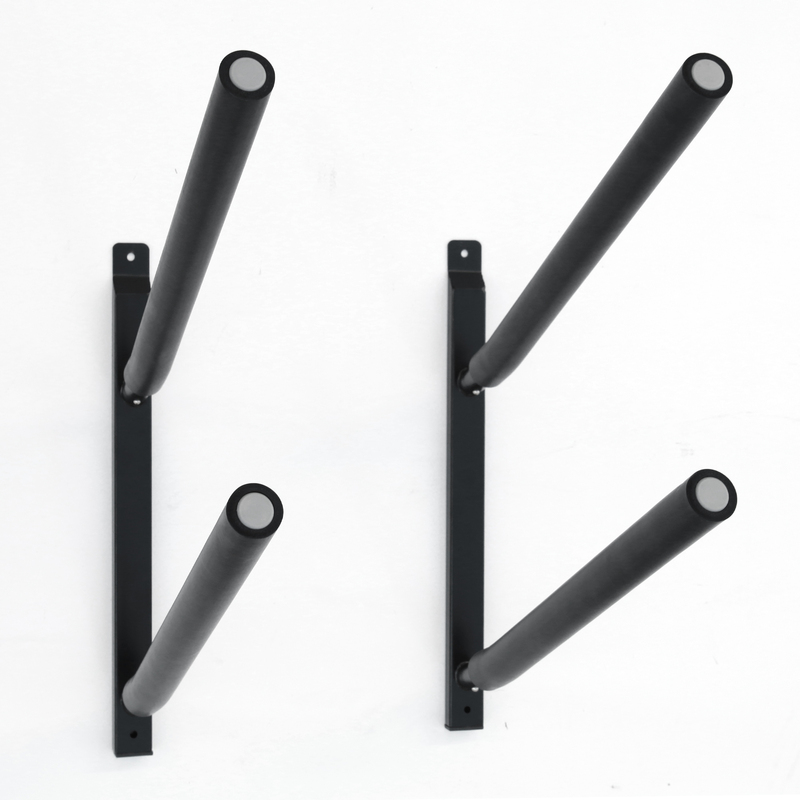 The Glacik wall rack is durable, easily assembled and mounted on the wall, and include a 1 Year Manufacturer’s Warranty.